My heart is completely in sync with the Unogwaja mission and more specifically with projects such as Umsalinga primary school. I believe that working with Children (and education specific projects) is the right thing to do as this will enable these children to have an opportunity to make their own place in the world. Also, it will create a deep impression on each of the child and will enable him / her to be a responsible community member. At various points in time over the last year i have personally spoken to the each of the above and have received encouraging response and hence feel confident about raising the minimum commitment.Apart from this later in the year (December) I plan to undertake a journey on cycle from New Delhi to Mumbai (about 1500 KM) to help raise awareness about the Unogwaja Challenge. 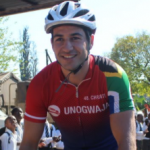 I plan to ride (after obtaining prior approval from Stoff and John) with the Unogwaja kit for this journey. 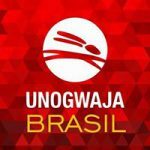 Along the way i will be stopping at various places and meet up with the local communities and introduce them to the Unogwaja Story and in the process raise awareness about the movement in India. On the physical aspects of the Journey- My cycling continues to be my stronger forte (I believe it comes more naturally to me than running). I have been running for a while and have been working on various aspects of my running. I am working closely with a running coach who has himself run 2 comrades marathon and is helping me work on my running ability so that I can qualify for Comrades marathon. Over the next few months I have planned half marathons and full marathons lined up and i will work towards qualifying for the Comradres Marathon and do my best to cross the finish line of Comrades marathon.